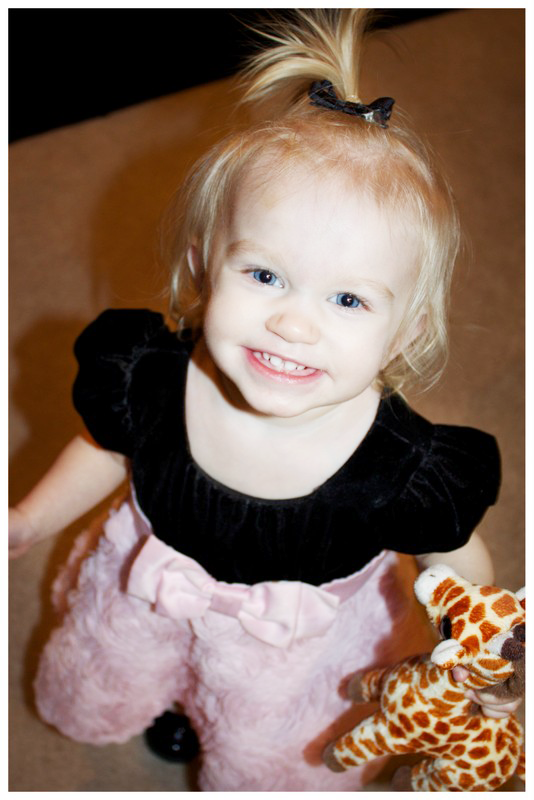 It freaks me out a little that Tenley is an active toddler, and not the teeny, snuggley baby I once knew. I practically feel like I'm meeting a whole new person every day! 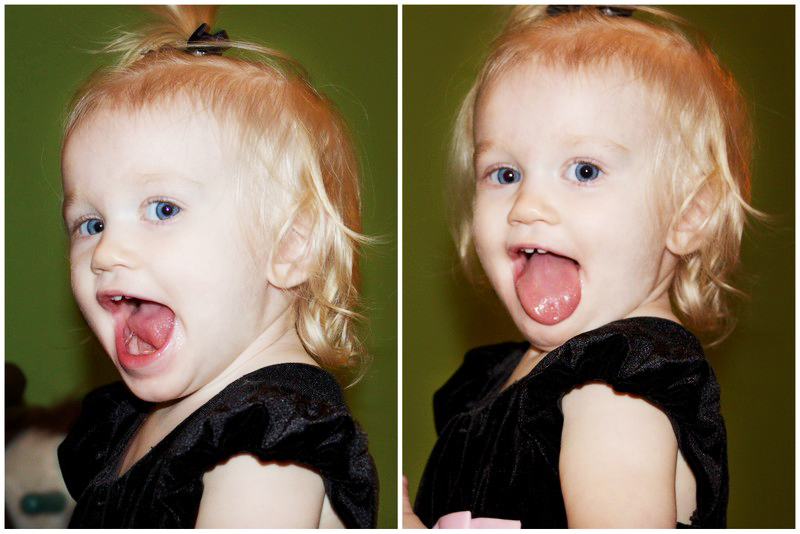 She has such a spirited personality and I'm impressed by the things I observe her doing all the time. She's learning a lot of skills that make her seem old to me: feeding herself with utensils, drinking out of cups, climbing up and down furniture and stairs, following my directions, babbling back and forth with me, figuring out the DVD player, hiding, and helping put her clothes on and take them off. 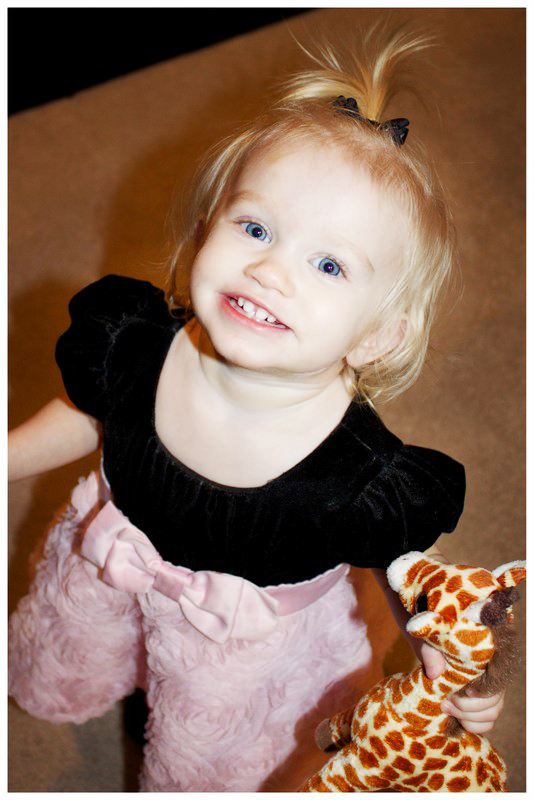 However, one of the most obvious reminders to me that she's a big girl now is her toothy smile. Teeth! 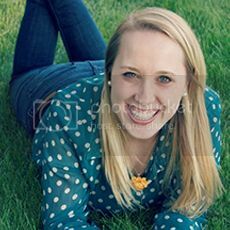 This girl has teeth! I realized a few days ago that I hadn't gotten any good pictures of her showing off her pearly whites. So, after church on Sunday, I set out to capture her toothy smile. 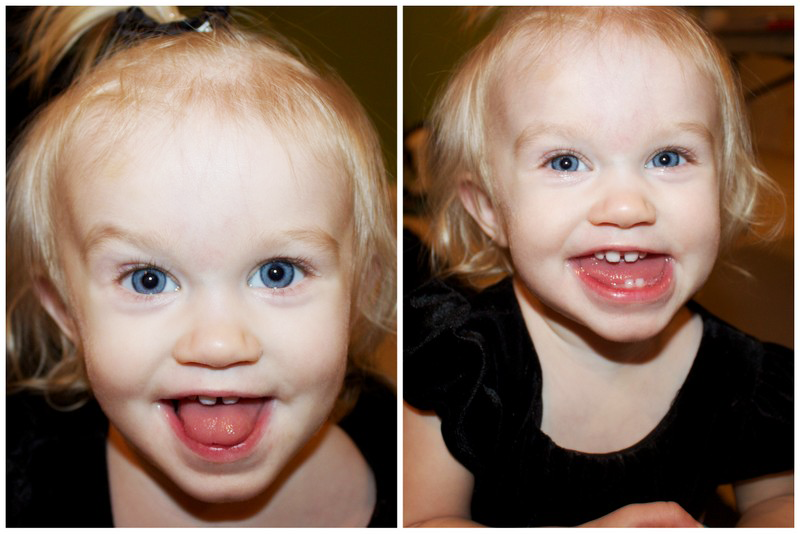 She was in a good mood and I'm pretty much obsessed with these pictures of her. Last week, she got really sick. She had a high fever and was much more mellow than she normally is. 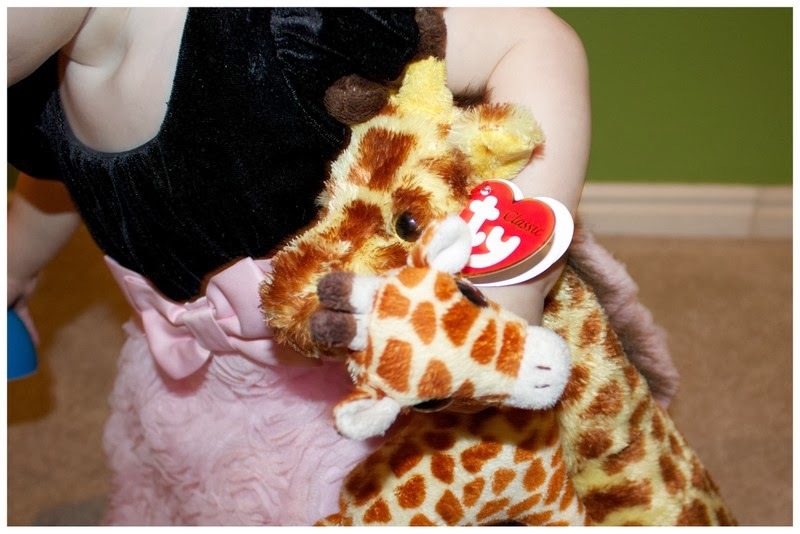 During those few days, she got really attached to one of her stuffed animals. 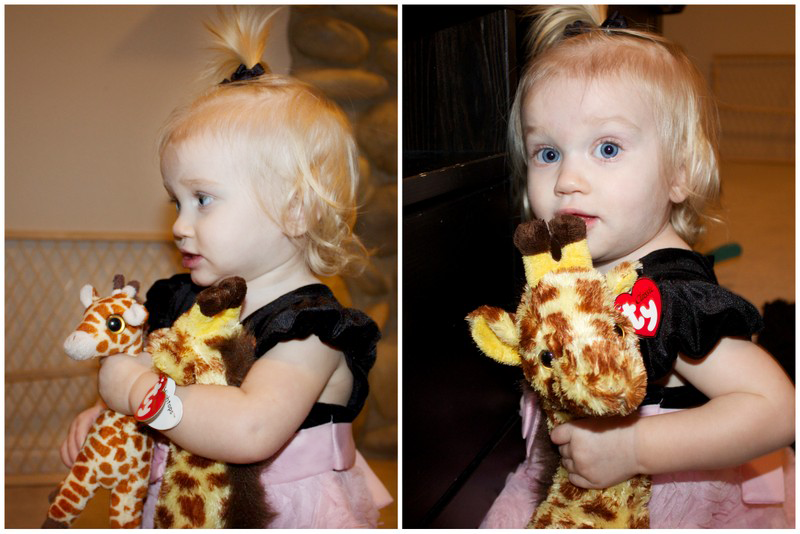 She hugged and cuddled that giraffe like crazy and never wanted to let him go. On Thursday, JD found a smaller version in the gift shop at the hospital where he works. He couldn't resist and brought home the "baby" one for Ten. 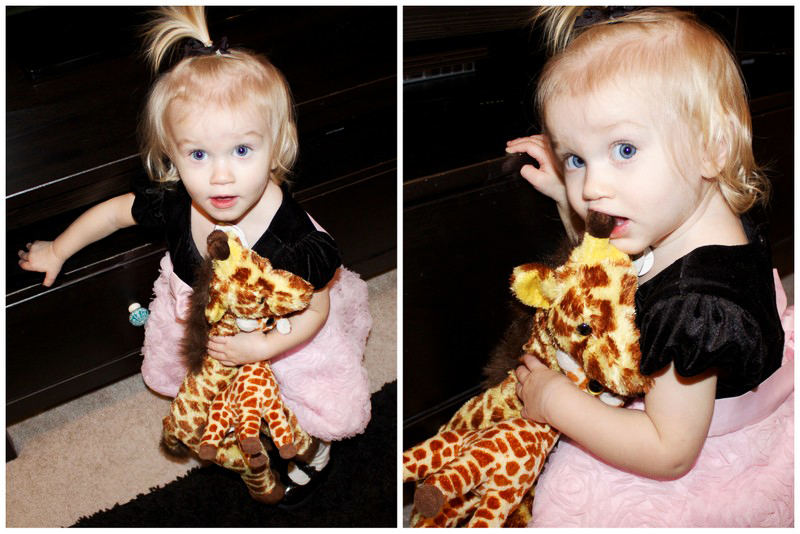 Now, she carries around both the "momma" and the "baby." It is SO CUTE how much she loves them. I basically explode inside when she gives them kisses and then holds them out to me because she wants me to do the same. One of her favorite activities is opening and closing the DVD player. She knows we don't like her to do that so, whenever we find her in the act, she looks up guiltily. I can't tell if she really understands yet that she's not supposed to do it. . . haha, but it's really hard to be mad at such a sweet face! I set this photo as my desktop background right after I uploaded the pictures on Sunday. Now, whenever I get on the computer, it's the first thing I see and I can't help but smile. I love her so dang much!